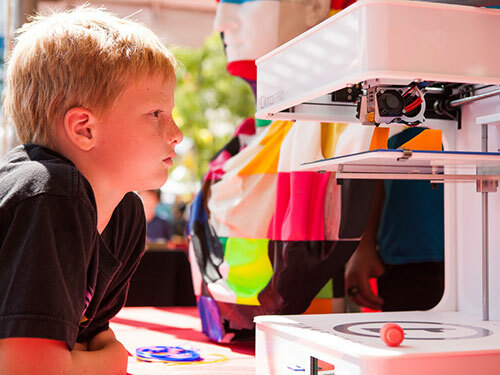 « Weekend Series: Maker Mania Jr.
Certified Fab Lab Explorers, Tinkerers and Makers—you have unlocked access to Open Build time! Use the skills you’ve gained in our Maker Studio certification workshops to build 3D models of your own design. During this supervised free-build time, you’ll get to practice using 3D modeling tools and techniques, and hone your skills. We’ll 3D print your creations at the museum (available for pick-up within two weeks of the workshop). Fab Lab Explorer or Fab Lab Tinkerer certification required.